Historical fiction is a great way for children to learn history, and be engaged at the same time. “We would go somewhere fresh and new where people were happy. All kinds of people practicing all kinds of religions..[where] nobody would mind that you were Muslim and Papa was Hindu….” This is a no-holds-barred experience of the tragedy that ensued from the Partition in 1947 into India and Pakistan. For 11 and up. “It’s better to read in the library. Sitting at my favorite table… reading and listening to the sound of other folks turning pages makes me feel I’m in a house full of company I don’t have to talk to.” A beautiful and lyrical small book set in 1946, exploring the loneliness that comes from being uprooted from South to North. “We must melt the hearts of the Government with love… Remember, we can only win the opponent over by love, never by hate. Hate is the subtlest form of violence. Hatred injures the hater, never the hated.” This very thorough biography of Gandhi in graphic novel form is a pleasure to read. “It wasn’t surprising that Siobhan Washington became a librarian. She grew up surrounded by books, spending just as much time in her school library as she did on the tennis courts. ” This authentic peek back in time to the struggles of African-Americans to be accepted is well-done, written in the form of a puzzle-solving adventure. “Now running away from home in the fourteenth century was by no means an easy thing to do. 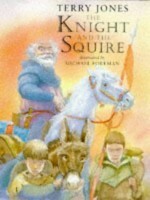 Everyone in the village would know exactly who you were… Nobody would be sitting inside watching television.” A funny book with a serious message- maybe knights are not all they appear to be on the surface, and war is war, never nice. “A few days later, I was one my way to meet Katrin for school when the German office cornered me at the end of the path. “Where’s the dog, Fraulein?” Meme and I should have decided to what to say to him…” It seems important for children to know that resistance is not just for history, or adults, but is something that even young people can participate in. “Louis of France is not yet thirty, and already he is the greatest king in Europe. His armies have never been defeated. This war is different… He is fighting three children. And their dog.” I don’t know how he pulled it off, but along with the historical description, Gidwitz adds contemporary outrage, and humor as well, giving perspective on the bizarre behavior of the human race! “All of these ill-informed scribblers seemed astonished at Ben’s great fund of information, at his brilliant decisions, at his seeming knowledge of all that went on about him. I could have told them, It was ME.” A biography like this is perhaps the best way to bring history to children without bringing tears of boredom..
“Gila River was where I would turn thirteen, and live with my mama and my sister, while waiting for my papa to be brought bak from Fort Lincoln, North Dakota, where the FBI had sent him…” This historical fiction children’s book adds yet another new piece of history and humanness to the story of the internment of Japanese citizens after Pearl Harbor was attacked. “Misson Santa Barbara, where the Padres were taking us, was near the Island of the Blue Dolphins…Perhaps if I went there, I could find one who would help me reach the island and bring Karana back.” A wonderful work of historical fiction, this children’s book is a sequel to Island of Blue Dolphins, and also offers a chilling look at the treatment of Native Americans by missions. “War, in some ways, is merciful to men. It makes them heroes if they are the victors. If they are vanquished, they do not live to see their homes taken, their wives widowed. 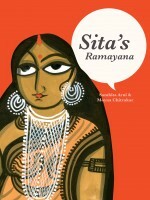 But if you are a woman, you must live through defeat…” No matter how you categorize this children’s book, it is a wonderful addition to the re-telling of the Ramayana, from Sita’s point of view. “If you were a boy named Henri Matisse who lived in a dreary town in northern France where the skies were gray, and you wanted color and light and sun, what might you become?” The images and wonder of Matisse’s imagination come to life in a beautifully crafted children’s book. “He passes the hammer to me, and I heft it in my hands. It fits my palm perfectly, and it feels good…It seems to be speaking to me, begging to be used, ready to be of service.” So many themes in one book – father/son, developing a written language, Native American struggle. Yet it all holds together beautifully. “Blue Jay Girl had a good family who loved her, and a little dog of her own. He was called Kiyu. Until now, her life had always pleased her. But today she was the very saddest girl in the village.” This small children’s book is a great addition to Native American folk literature. It reads like an oral story that has been converted to a children’s book. “You can call me Blockhead. Everyone else does. One day when I was just a boy, Maestro wrote out a math problem and gave us ten minutes to solve it. 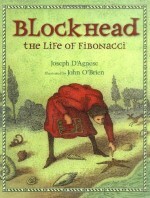 I solved it in two seconds.” If you have any young children who love numbers, this is definitely a children’s book they should read – a superb biography about Fibonacci. “Will Sparrow was a liar and a thief, and hungry, so when he saw the chance to steal a cold rabbit pie from the inn’s kitchen and blame it on the dog, he took it – both the chance and the pie…” First and foremost, this is a beautifully written piece of children’s historical fiction literature. The fact that the story and characters are interesting as well is icing on the cake..
“Africa was hurrying by as if someone were turning the pages of a book too quickly. I was miserable at what I was leaving behind. Even the railway itself has a sad story…I felt my own future would be no better.” This historical fiction for children is full of unexpected turns, and dramatic turnabouts, from living in Africa to exile to England. “Of all the stupid things he had ever done, this was the worst by any measure. He had completely humiliated his kind father in front of Yoshida – the man upon whom all their livelihood depended.” This compelling children’s book has so much going for it that the best advice is to read it. In fact, that’s what the sixth grade class does in our Waldorf school, and I hope parents read along. “Killing wolves is supposed to teach me to be a great lord of men? Aren’t there any books on the subject?” This children’s book is full of action. While it’s not written as a historical fiction, it gives a good view of the class disparity, and why one would rob the rich and give to the poor. “Strange, sweet music came from the whistle. The music was both sad and happy. It was full of beauty and hope, pain and sorry. 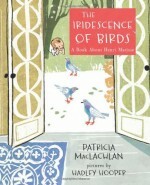 Like the fog over the river, the music seems to blend everything together.” I personally learned a lot more about leprechauns and Irish fairytales after I read this delightful children’s book.